Of an estimated 215 million child laborers in the world, some 115 million work in especially hazardous conditions, says the International Labor Organization. A recent World Vision report examined one of the most hazardous forms of child labor: working in mines. Child Miners Speak (pdf) explores the dirty, dangerous, and degrading lives of more than 50 children, ages 8 to 17, working at an artisanal copper and cobalt mine in the country’s Katanga province of the southern Democratic Republic of the Congo (DRC). Artisanal miners use their hands to extract materials, utilizing little technology or machinery. According to the report, an estimated 40 percent of artisanal mining workers in the DRC are children. Artisanal mining is especially treacherous, as it requires plucking stone from loose surface or tunneling, which can lead to deadly rockslides. In the report, the children described the circumstances, impacts, and drivers of their work as miners. 19 percent said they had seen a child die on an artisanal mining site. 87 percent experienced body pain, and many had been injured. 67 percent reported frequent or persistent coughing. Several girls had had genital infections after working waist-deep in acidic water. The impact of the work on a child’s health is significant. “Since working here, I have problems with my skin, body pains, and pain in my eyes,” said Jean, an 8-year-old who works alongside his mother at the mine where World Vision’s research took place. The heavy work can permanently damage a growing child’s bones and muscles. Minerals mined are often hazardous and exposure to uranium and mercury can have profound health effects. Falling down open mine shafts, being trapped or injured by collapsing tunnels, or drowning while mining underwater are all serious threats. Children absorb and retain heavy metals in the brain more easily. Children’s enzyme systems are still developing so they are less able to detoxify hazardous substances. Children breathe faster and more deeply, so they can inhale more airborne pathogens and dusts. Children dehydrate more easily due to their larger skin surface and because of their faster breathing. This research will help World Vision better understand how the DRC government and the international community can support these families and find solutions to child labor in mining. “This is not a childhood, with no time to play, rest or go on holiday with family,” says Bob Kisulya, national director of World Vision DRC. “This type of hard labor is robbing children of the childhood they have a right to. 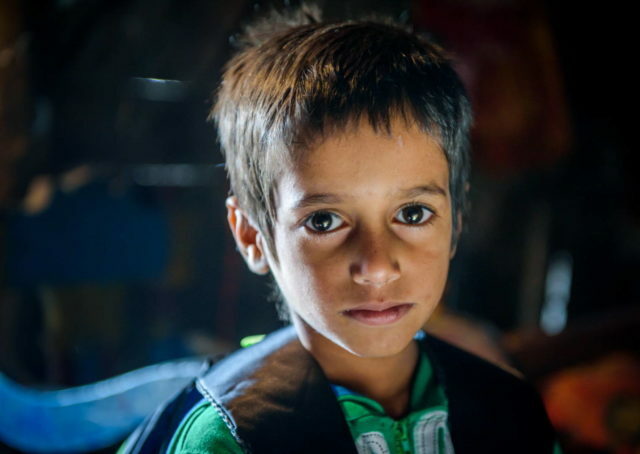 Pray for children in extreme poverty who are compelled to work in dangerous conditions as a means of supporting the family’s income. Pray that their parents and caretakers would gain access to safe work that would in turn allow children to attend school and experience childhood in all its fullness. Email or call the White House. 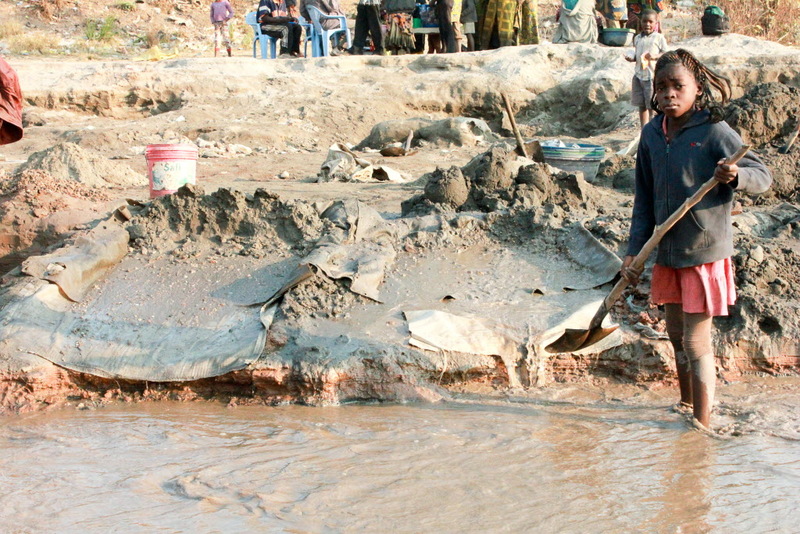 Urge President Obama to enforce the Congo Conflict Minerals Act. 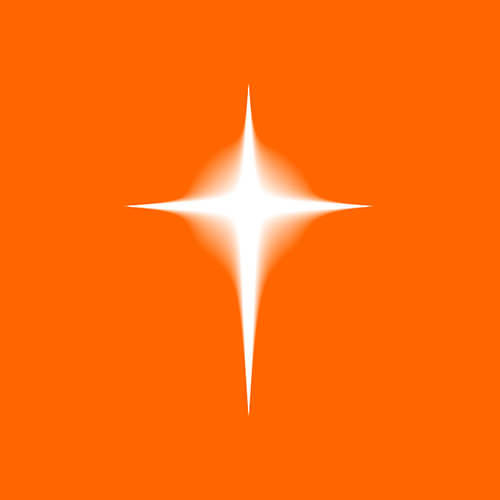 In 2010, World Vision advocates helped pass the Congo Conflict Minerals Act, which requires U.S. companies to disclose any use of conflict minerals from the DRC. However, the White House has yet to appoint someone to oversee this process. Donate to help children and women in the DRC. Your gift will multiply 9 times to provide lifesaving food, agricultural support, healthcare, and more for struggling children and families. Help women and children in the DRC.